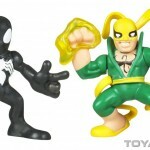 We have a couple new official photos of the upcoming Super Hero Squad Black Spider-Man and Iron Fist 2-pack. We have also received a bio for the figures. Spring into action with this exciting two-pack of super-powered characters! 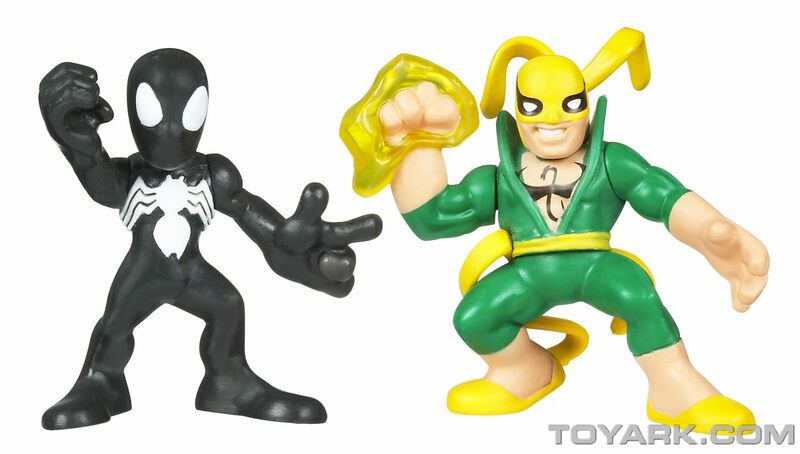 Set these little Green Goblin and Spider-Man figures up for a big showdown with the bad guys and decide whose mighty abilities are going to win today’s fight! Even when they’re not taking on evil villains, these chunky collectibles’ battle-ready poses prove they’re always ready for a super hero rumble. The photos can be seen by clicking the headline of the story. Wait, so Danny Rand is the new Goblin? Geez, stop reading comics for a few years and your whole world gets flipped on its ear. ...or it could just be a typo in the bio. 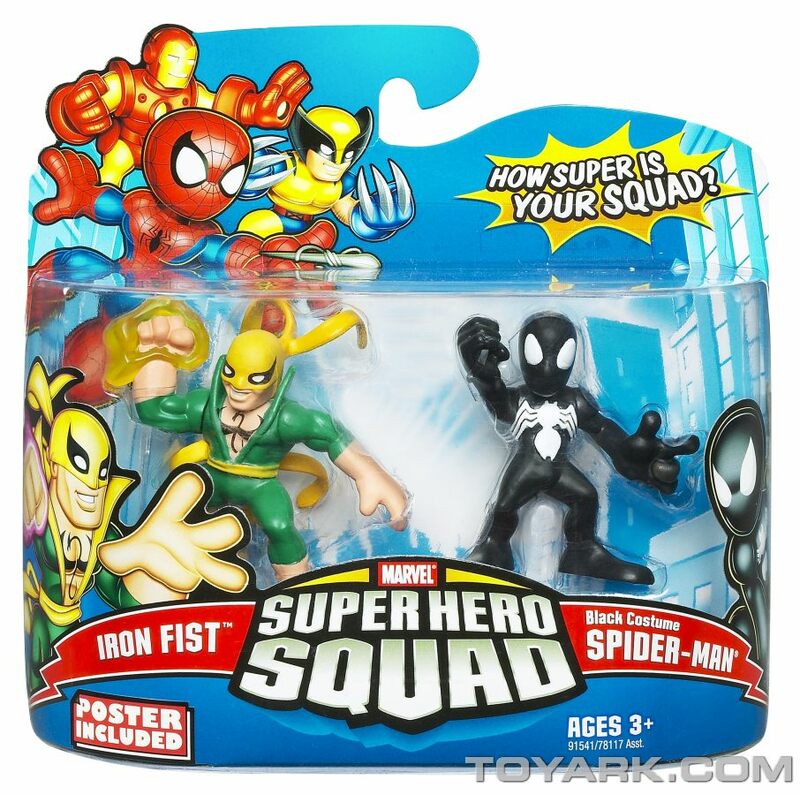 Iron Fist looks pretty cool, though.